THE Philippine Super Liga has been invited to join a tournament in Croatia but could not confirm participation because of scheduling conflict with the PSL All Filipino Conference in July. PSL earlier confirmed a selection will go on the road again to see action against the Hong Kong national team on June 12, but has yet to decide on the Croatian meet. "The invitation is already up there; it's not up to us to grab it," said PSL president Tats Suzara. "Unfortunately, I couldn't commit right away because the tournament will smack with the All-Filipino. It would have been a perfect opportunity to give our players a very good exposure against top European players," he added. For now, it’s wait and see. "Who knows, it might fit to our calendar," he said. "Our maybe the organizers can do something to amend their schedule. We may never know. We'll just wait and see." Suzara said the Hong Kong match is a gift from the PSL to Filipino workers in Hong Kong. "Organizers are now putting finishing touches to the project. 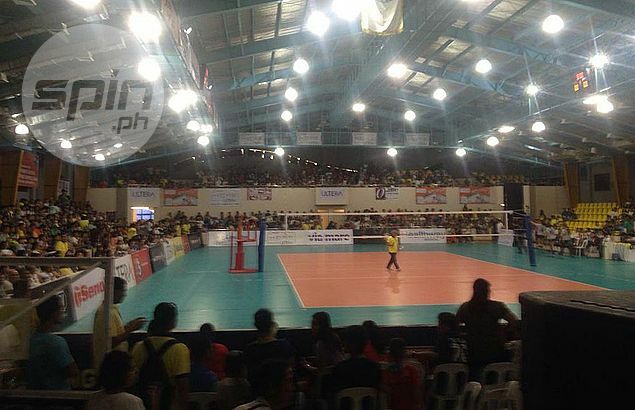 They are now in the process of looking for a venue that is big enough to accommodate the Filipino workers who are expected to watch the match," said Suzara. "These opportunities are good for the players, the objectives of the national team and Philippine women's volleyball in general. We will continue the program and work hard to catch up with the international standards."